Greg Contaxis, a Toronto resident who uses a wheelchair, is testing the Novalte accessible switch to operate his TV, adjust his bed, turn on the lights and air conditioning. He says he can’t imagine going back to life without the device. When one of Novalte’s test clients realized she would be able to turn her house lights on and off by herself, she was so overcome she started to cry. For the client who lives with disabilities, being able to perform the simple task gave her a sense of control over her life that she didn’t have before. 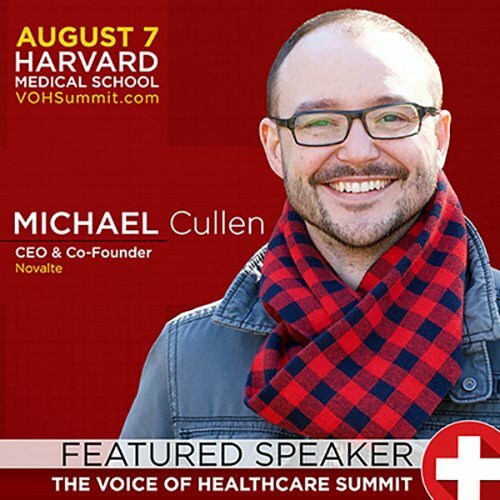 “For us, that’s a very mundane thing, we can physically turn a light on,” says Michael Cullen, founder of Novalte, which produced the technology that allows her to perform that everyday function with her voice. For the past two years, Toronto-based Novalte has been working to produce a centralized system that can allow people with disabilities and elderly people to perform simple tasks such as opening and closing their front door and controlling their TV, using a simple computer connected to their wheelchairs. The system is fully customizable and can be activated by voice, a breathing tube, or a wheelchair joystick to control various tasks around a home. All of it is centered around a device that is just slightly larger than a big smartphone that can connect to other products such as Google Home. For Greg Contaxis, a Toronto resident who uses a mobility device and lives with severe cerebral palsy, being able to control all of his functions around the house with an accessible switch makes all the difference in his personal life. Novalte allows him to use his TV independently – the buttons on the remote are too small for him to operate on his own, and he can use the accessible switch with the back of his hand or a finger. The device also lets him lower and raise his bed, turn on his air conditioning and control his lights. “It gives me more independence and more comfort … it benefits me immensely,” says Mr. Contaxis, who is using the device as a beta-tester, adding that he can’t imagine going back to life without the device. Mr. Cullen says he came up with the idea of working with assistive technology when he noticed there was so much integration between technologies during the rise of the smartphone, but none for technology that’s been developed for people with disabilities. That realization launched a 10-year mission spent working with assistive technology. The last two of those years have been spent developing Novalte’s Emitto, a small box that controls a client’s home devices and can easily be customized for individual users. It’s an unlikely place to end up for Mr. Cullen, who previously worked as an engineer at an Irish power plant. He made the switch to accessible technology after a round of layoffs, and today he’s the founder of a company that employs 10 people. Michael Cullen, founder of Novalte, a Toronto startup that is making advances in assistive technology. He attributes the company’s success so far to partnerships with mentoring organizations such as Ryerson University’s Design Fabrication Zone and the Accelerator Centre in Waterloo, two organizations that help to guide and fund business startups. They’ve also been funded by a number of grants, including $100,000 from the March of Dimes. The device is also connected to Novalte’s server, which means the company can monitor its clients, know instantly if one of their devices isn’t working, and can help to diagnose and fix the issue. Because the system is designed to be flexible and work with people who have a wide variety of speech or motion-restricting disabilities, the system takes just four hours to set up. Mr. Cullen says all of those factors mean the company can offer its technology at a significantly cheaper price than similar systems that are on the market. The hardware will cost between $500 and $1,500, depending on the configuration of the system, with a $45 monthly fee for the monitoring system. Mr. Cullen says similar systems typically cost between $5,000 to $40,000, because they have to be specially designed for particular users. Leslie Mumford, an assistive technology expert at the Holland Bloorview Kids Rehabilitation Hospital, said systems like Novalte’s Emitto could help make assistive technology more widespread. “I think it has great potential to bring costs down for individuals with disabilities, and to really give them access to technologies that people in the mainstream use,” says Ms. Mumford, who noted that there hasn’t been as much innovation in the assistive technology sector as in other technology sectors. She says people with disabilities are sometimes left using technology from the 1990s. Mr. Cullen says he wants to focus on improving the system and making it more efficient as the company prepares to officially launch the product in November. One of the ways he’s doing that is by expanding the market for the device to elderly people. He says that while many elderly people may not have an disability in a formal sense, they can still benefit from functions such as locking their front door from their bed, or changing their TV’s channels without using a remote with tiny print. ‘It gives me more independence and more comfort,’ says Mr. Contaxis about Novalte’s Emitto, a small box that controls a client’s home devices and can easily be customized for individual users. By opening up to a larger demographic, Mr. Cullen believes that they’ll be able to develop their system more quickly, optimize set-up times, reduce production costs and ultimately lower the cost of the product to make it even more accessible. Novalte has started a sign-up form on their website for people who may want to use the system, and full-scale production will start once they have a better idea of demand. At the moment, the company is working with 10 test-users who rely on Novalte to perform daily tasks around their homes every day. He says that he’s seen an immediate impact on his clients that make the past two years of work worth it. Next story Spanish Flu emerged as the world was recovering from years of global war.